Seems like life has gone non-stop since my last posting. I apologize and will catch up soon starting with my time on the Door Peninsula in Wisconsin. But for now a shift in direction (although related). I’ve been fascinated with and studying the design, building and living in small cabins and homes for perhaps 30 years. I’ve only had substitutes: a 30-foot travel trailer I used as writer’s cabin for two summers and now Ecovision, my 22-foot motorhome. 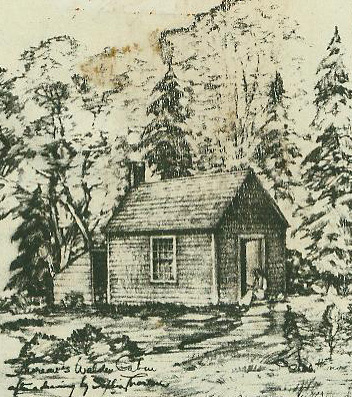 So I thought I’d post a series of videos and information on small homes starting with the first and best: Henry David Thoreau’s cabin on Walden Pond.